Here are my thoughts on the third episode of Start Your Engines!, Slow Stephen! Helen Farrall, you've done it again! 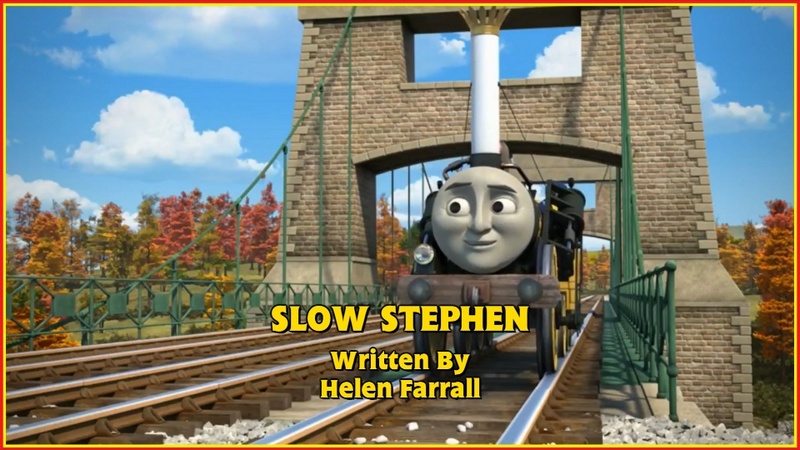 I've enjoyed all of Helen's episodes this series, some more than others, but this and Toad & the Whale are some of my favourites of the entire show. Heck, if it wasn't for the rules I placed on my top 10 favourite episodes list, this would be number two, and Edward's Exploit would be pushed down to third place (if I actually updated it..!). She has already shown that she has an excellent grasp of each character and how they should be, whether they be old ones like Thomas, Annie and Clarabel or new ones like Stephen. She also knows how to build some excellent tension for a show aimed at such a young age group. Here, for example, the scenes at the bridge were executed brilliantly. Some could say it falls apart a bit too easily, but it's a kids show, so it can easily be forgiven. Gordon's role here was brilliant, too. He always seems to have a good dynamic with Stephen, so it was nice to see them sharing some of the spotlight again. Also, the ending produced an excellent moment of catharsis. Speaking of the ending, the climax was beautifully done. Stephen's courage and determination was second to none, and Gordon's "you saved me and my passengers" line really showed how bad the situation could have been. It's another piece of gutsy writing from a show that barely went there in the seasonal rot era (the closest I can think of was Skarloey almost losing his cab in Blue Mountain Mystery). The one thing I find sad, though, is that Porter has more of a role in an episode that he has little to do with (and all he does is point out the obvious), yet the one episode that could have used him didn't. Yes, I'm still disappointed with Salty All at Sea, and will continue to be until the end of time. Or until I stop being a Thomas fan, whichever comes first. #S19Stephen Marvelous episode. Stephen was in his finest character, and the rising suspense of the broken bridge led to a brilliant climax. #S19Stephen great tension, climax and characterisation of Stephen by Helen Farrall, in short: love it! 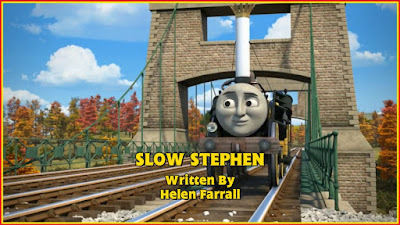 #S19Stephen A fine example on what an excellent writer Helen Farrall is. Absolutely brilliant. This is another superb effort by Helen Farrall. It's a tense, dramatic story that plays out really well and has some fantastic characterisation, voice acting and animation. There's little else to say, I'm just loving her work so far and I hope she stays for the foreseeable future!